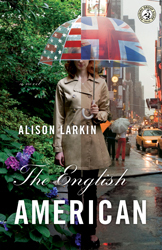 The English American is available at your favorite e-retailers and local bookstores. Links are provided below to assist you. *NEW* The English American is now available as an Audiobook on disc from Brilliance Audio.